Home Products What’s New in PBXware 5.3? Guess who’s back. Back again. Bicom’s back, go tell your friends! At Bicom Systems, we provide the Communications World with some of the best Turnkey Communication Solutions available. We do so by creating, unifying and supporting the most advanced versions of some of today’s technology. 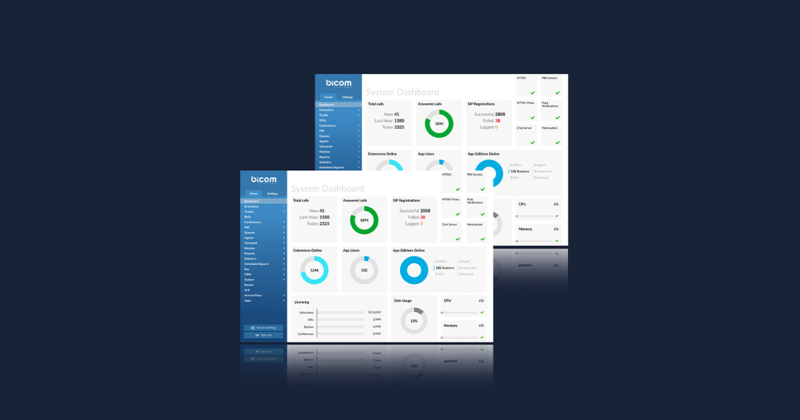 We recently just released PBXware 5.3 and the new features check off all the boxes. Keep reading to learn more about them! The title of this feature speaks for itself, this service will allow users to send faxes via their e-mail. Although there are many benefits to owning a physical fax machine, there are just as many reasons to get rid of one and start sending faxes through your email. Not only is it more convenient and efficient, but think of all the available space you will gain? As long as the fax you want to send is in PDF format, your email can have multiple files attached! We even went the extra step for you and set up ‘Notification E-mail’ templates. You can customize your notifications to let you know if your fax sent successfully or not. When did the call take place? How long did the call last? What kind of call was made? Inbound? Outbound? Toll-free? You can become more efficient with your data by dividing the tables into small and more manageable pieces. This is an extremely useful feature that we are dedicating a whole blog post strictly on this topic. Check it out here. 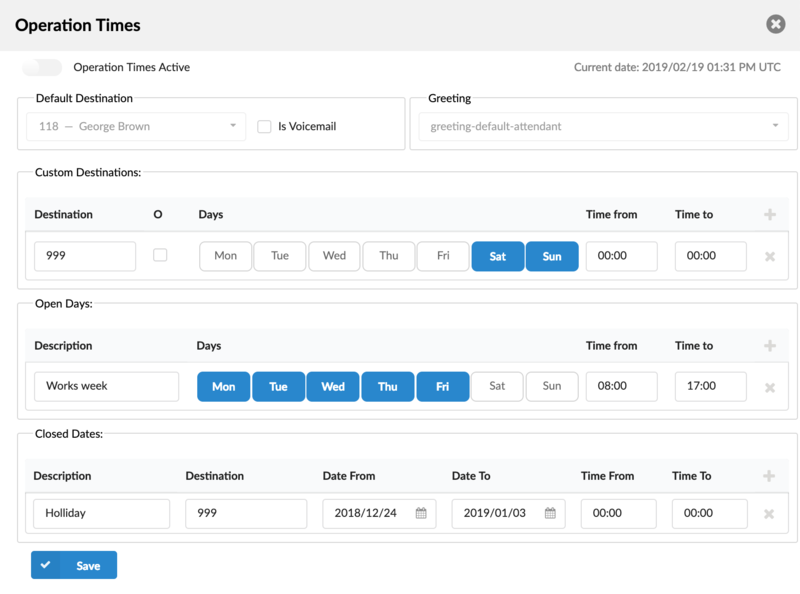 You can now set the working hours of your business! If any calls come in outside of normal operation time, you can direct them to a certain destination. This destination could be a ‘We’re closed now’ voicemail or an extension that is dedicated to after hour calls. If your company is closed for holidays or vacation, you can set a specific destination for calls to be sent too. In version 5.3, we changed the ‘Midnight Reset’ option. The default was to always reset the operation times at midnight, however in the case of an emergency that would not be the ideal option. You can now set this option to ‘No’ and the midnight reset will be skipped. You may be thinking, how can you improve voicemail? Well, we can’t help the annoying voicemails your Aunt keeps leaving you, but we did improve its features! To start, the speech-to-text ability is now available in more languages and we added a “Voicemail Group” destination. So you can now leave the same voicemail for many people and they can read it in their preferred language. PBXware 5.3 also gives you back control of voicemail. Administrators can set the min/max PIN length, view any voicemail on the system, create custom logins and more! Take a look at ‘Getting More out of Voicemail’. There is so much more to PBXware 5.3 that you need to check it out for yourself! Take a look at the official release notes here. If you want to upgrade your PBX to the latest version, visit our website or contact your account manager. Next articleWhat is CDR Partitioning?